Hast du von Bergen geträumt? at the Christian cemetery in Stod, a town in the former Sudetenland. 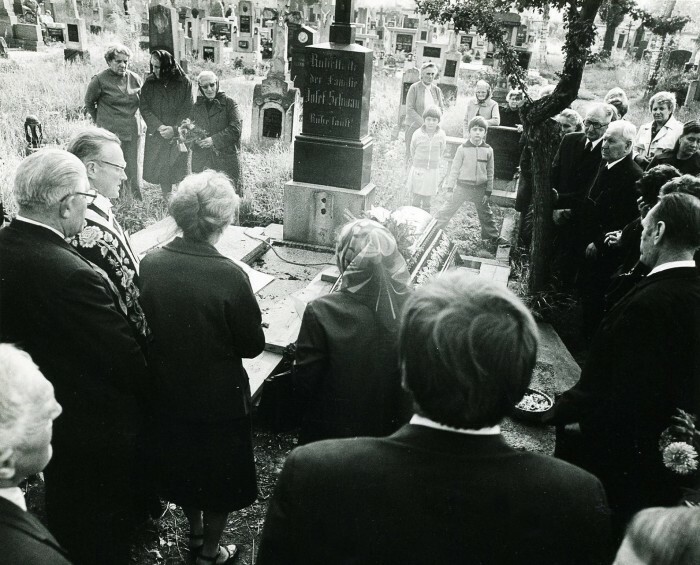 In 1981 was Marie buried in a tomb with a grave stone with an old german Schwabacher writing. 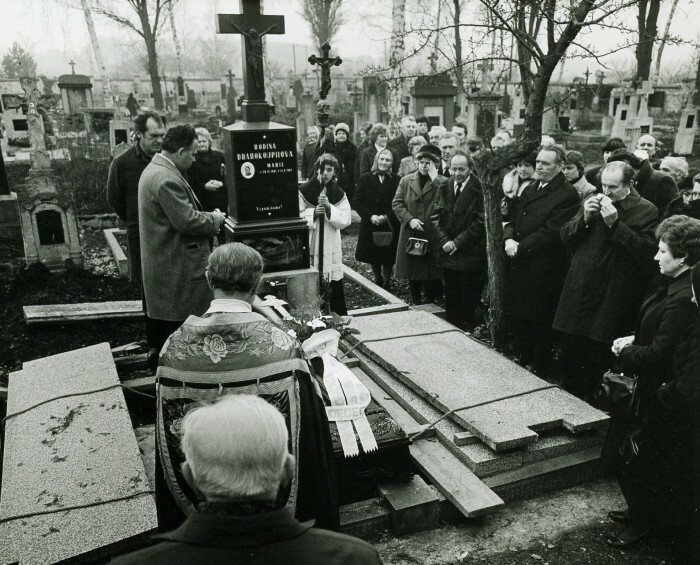 Two years latter by Josef’s funeral there were no traces of history anymore, just the special shaped tree shows the place is the same.